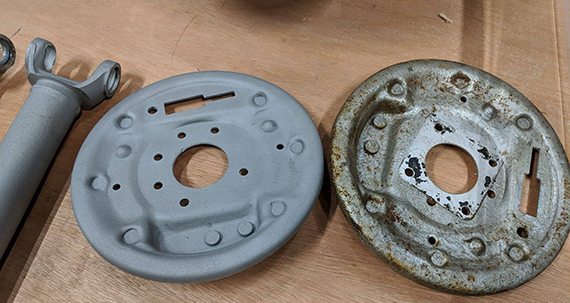 Due to the personal interest of our managing director, Paul Haslem, in the restoration of motorbikes and cars, Nulife Engineering Ltd, are once again able to offer a bead blasting and cleaning service, with a fast turnaround, to all parts of the motor trade and general public. Bead blasting is an ideal way to clean all car, motorbike, boat or tractor parts. 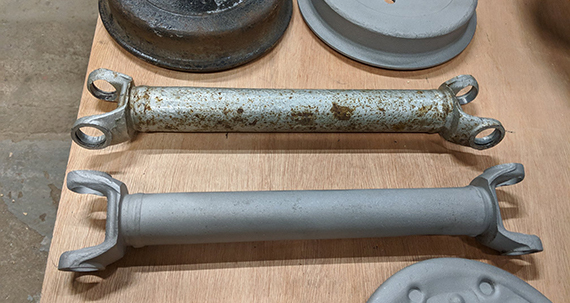 Blasting millions of microscopic glass beads onto every surface of the item being cleaned or restored, the process blasts away the carbon scale, rust and other surface foreign matter, without damage and without removing the surface metal. 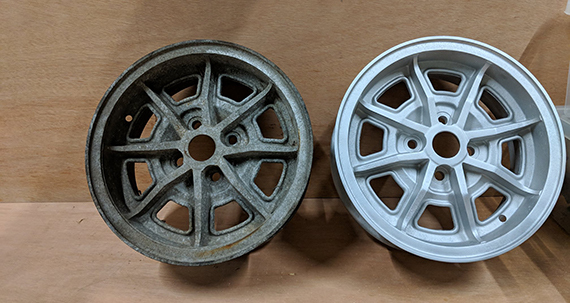 We can clean anything from small carburettor parts, to gearbox castings and chassis parts, with a high pressure system plus vacuum system cabinets, ensuring a quality finish every time. It is a time efficient and effective method of cleaning corroded, dirty and rusty engine parts, tools, domestic, agricultural and gardening equipment. Call us, whatever the size and scale of your engineering requirement may be. We’re easy to deal with, and we love a challenge.